Yet another way of marking areas of Oakland -- the Oakland general plan and zoning map. Which is also used for the larger divisions in the OMCA neighborhoods map. 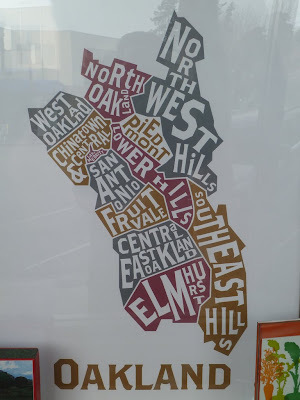 I based mine on a Google map by mathew, which was based on Districts defined by the Oakland Street Tree Selections. I'm still cleaning it up some, but the basic shapes are probably familiar to anyone who's looked at any aspect of Oakland city planning. Some of the names suggest interesting possibilities for news reports to use as a minimum reference as suggested in the earlier post. 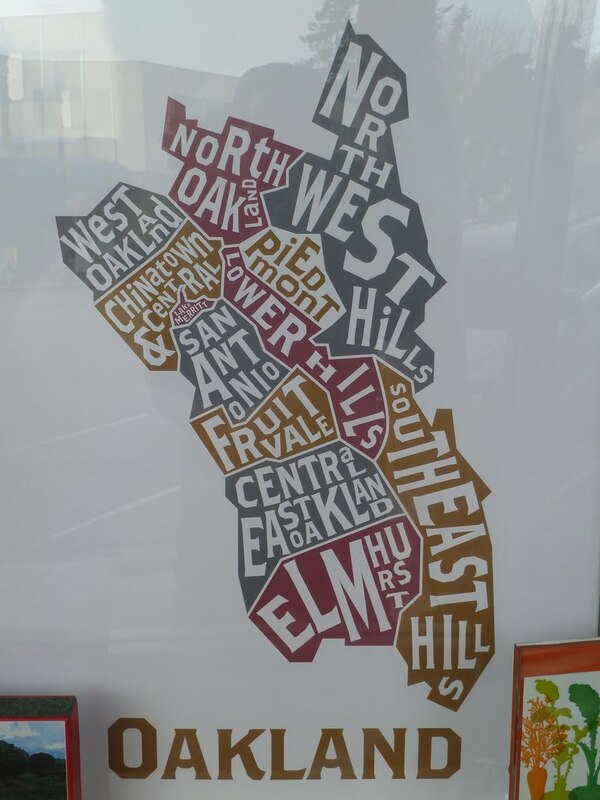 Well, except Central East Oakland and Central. But certainly better than labeling all news as being in Oakland or East Oakland. Thoughts? Very similar to the OMCA neighborhoods map, right down to the names and the orientation with north not straight up. Kind of a cool design, but I still don't like all the names. Cool design but makes no sense. For about 5 years I told everyone I lived in the Dimond District. THEN, I found out I really lived in the Bret Harte corridor, a virtual no mans land between the Dimond and Laurel districts that no one claims. Those are the City Council Districts names', not actual neighborhoods. I am hoping to see one with a more detailed breakdown soon. @David - if you want more detail, check out the neighborhoods map I put together last year.